For 13 years, Splash Damage released games the traditional way, as boxed products that might see a couple of patches after launch, but no extensive changes. Then, at the end of 2013, the studio launched Dirty Bomb, an objective-based shooter that they’ve been consistently supporting ever since. The game has demanded a whole new way of working for the team, changing the fire-and-release mindset they developed over the ten years before. Splash Damage’s Brink was recently made free-to-play, the game was flawed but remains ahead of its time. It used to be that only subscription games fell into the games as a service category, but with the rise of free-to-play we’ve seen other genres of games adopt the same long-tail development style. 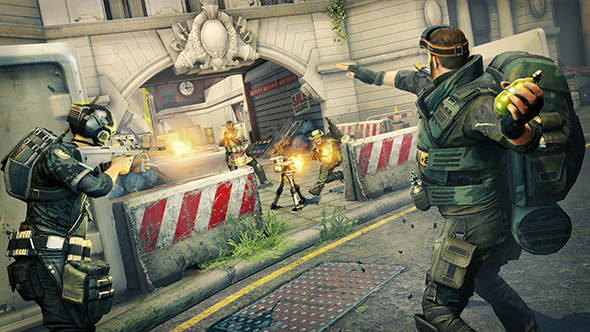 For Splash Damage, when they decided Dirty Bomb would be a free-to-play shooter, the team went out of their way to learn a new style of development. It was particularly hard when the team was smaller. 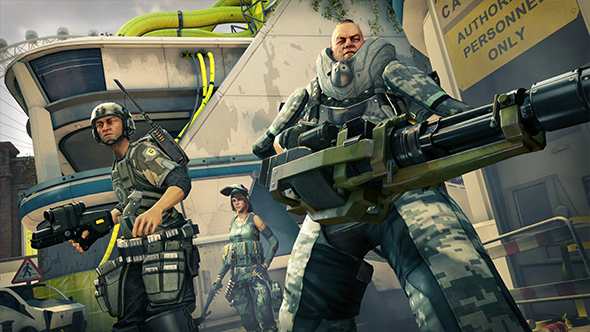 Originally, Dirty Bomb was being published by Nexon, but earlier this year Splash Damage was able to buy the full rights to the game and, using the investment from a Chinese company, expand its team. 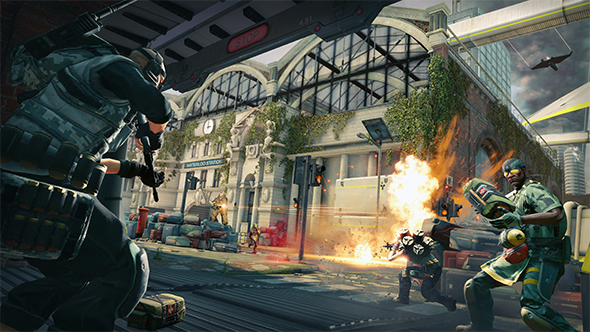 When they were with a publisher, the Dirty Bomb team spent months optimising the game at the cost of not releasing new maps and characters for its players – “We frankly weren’t able to do both,” Alphonso says. Rainbow Six Siege just went through the same process, calling the last season Operation Health. The team didn’t release new content, instead they went through the game’s maps, optimising them, squashing bugs, and improving the server code. The second is the culture it breeds in the team. “I think it’s much more balanced in the way we work,” Alphonso says. “Obviously the games industry has had problems with the ‘C’ word, it’s back in social media this week, we’re talking about Crunch yet again.” Alphonso is referring to a recent Polygon article about crunch that caused a stir among game developers. Recently, the direction game development cycles and models seem to have pushed is one that demands more sacrifices from teams. But, game as a service might be the exception, at least that’s how Alphonso tells it. In any case, Splash Damage seems to have made the transition successfully. “I don’t think I could go back to making a boxed product,” Alphonso says.